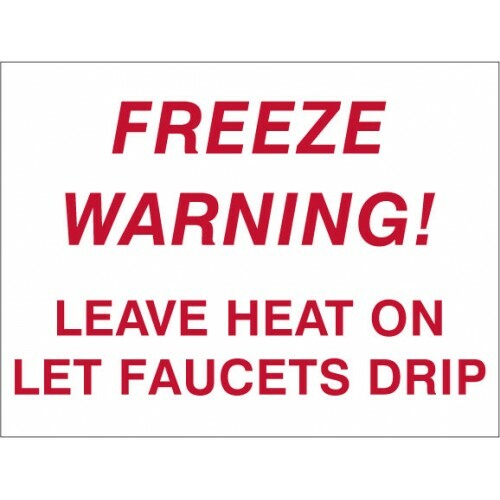 Protect your community from potential busted pipes and water damage by posting freeze warning signs on your entry drive. 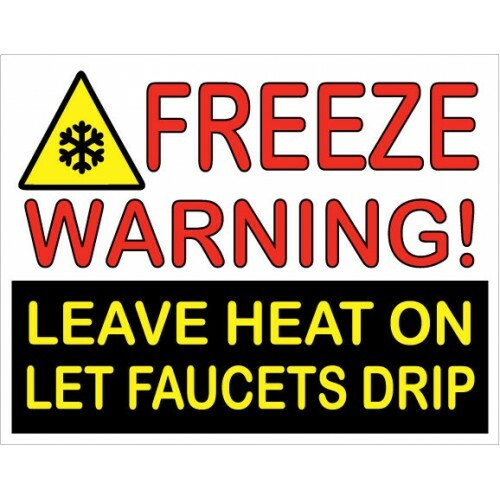 We offer the signs in durable aluminum composite and economical coroplast. 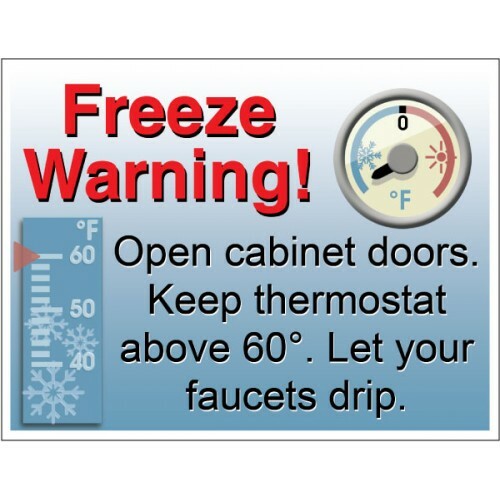 Use with a full frame or tex-cor stake. 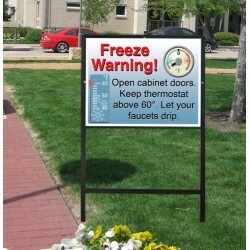 Our Freeze warning signs are 18" x 24" in size and double faced. They are available in d..